Viewers who are used to larger creeks and rivers may be surprised to learn that this view is that of the junction of Top Creek and Rafferty’s Creek. The viewpoint is Top Creek downstream, Top Creek upstream swings to centre left (following the line of rocks), and Rafferty’s Creek swings to centre right (following its line of rocks). 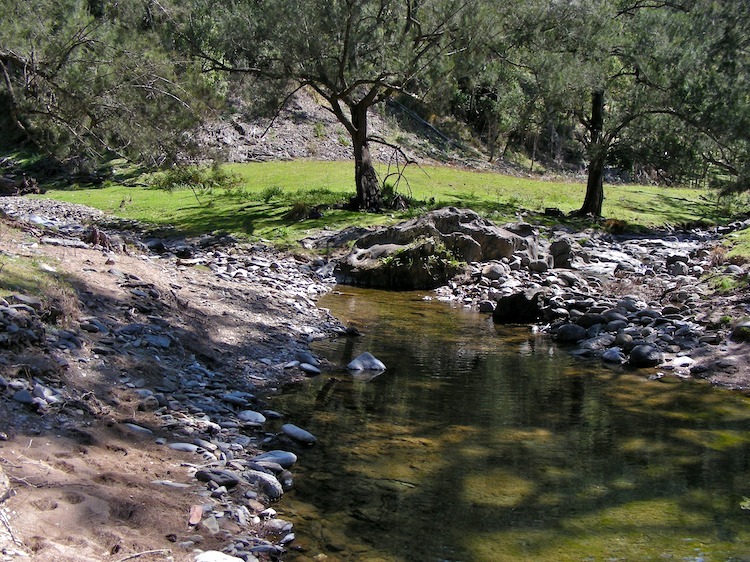 Located in Oxley Wild Rivers National Park.